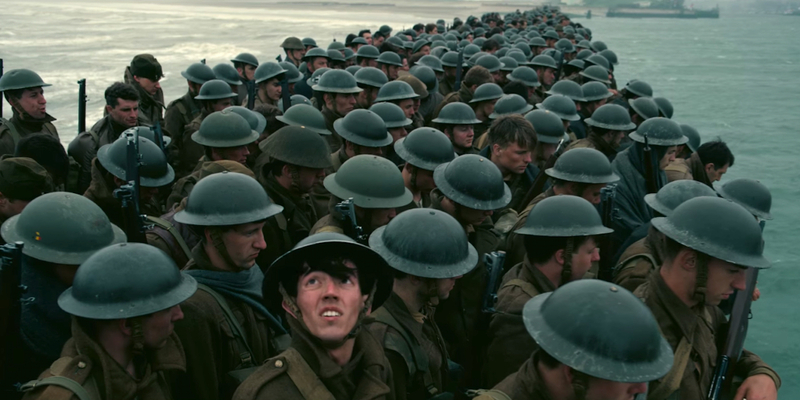 The trailer for Dunkirk, the newest Christopher Nolan movie, was released. And it has a lot of people excited. The film depicts when 400,000 Allied troops were surrounded on the beaches of Dunkirk, France. They were caught between the English channel at their backs and the German Army on land. All hope for these soldiers seemed lost until a group of civilian sailors joined the English Navy and Air Force for an all-hands-on-deck evacuation operation. Dunkirk has a lot of star power. The film stars Tom Hardy, Cillian Murphy, Kenneth Branagh, Mark Rylance and Fionn Whitehead. Harry Styles also makes a cameo, and that should be interesting. Nolan was asked about casting Harry Styles for the film. Hardy plays a pilot attempting to fight off German planes while Murphy portrays a sailor who is picked up by a civilian ship after his vessel gets destroyed. It all looks very intense! The movie comes out July 21. And we cannot wait to see it in action.